The UMW Group today has diverse and global interests in the Automotive, Equipment, Manufacturing & Engineering and Oil & Gas sectors. We stand tall as one of the Malaysia's foremost public-listed companies, while continuously building on the strengths of our core businesses to tap opportunities in the international arena. 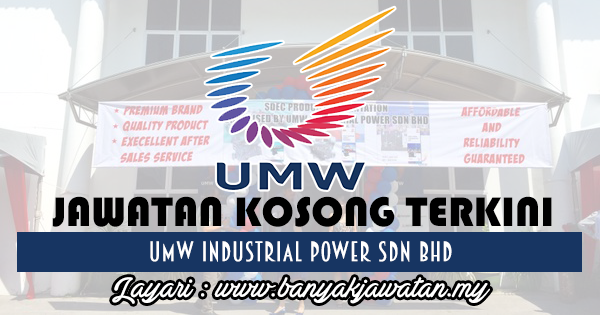 0 Response to "Jawatan Kosong di UMW Industrial Power Sdn Bhd - 28 October 2017"